Find Pascal, the chameleon from Disney’s Tangled, in the Magic Kingdom park at Walt Disney World Resort in Florida. Since it is Easter – here is another Disney Easter Egg Hunt – another chance to find hidden surprises within the world of Disney. This particular Easter Egg Hunt is one you can take for yourself the next time you visit Walt Disney World. Believe it or not, the details in WDW are so amazing that you can even make a trip to the restroom an adventure – especially if you visit the Tangled themed restroom area in the Magic Kingdom. This is actually a chameleon hunt and he appears first in the movie Tangled, but has more frequent appearances in the Tangled themed follow-up films and series. As we meet Rapunzel her one true friend is her silent, color-changing sidekick, Pascal. Although just a small chameleon, he plays a big role in Rapunzel's life. Confidante, coach and cheerleader, Pascal is a driving force behind Rapunzel's decision to leave her lonely tower. This supportive and encouraging companion's true colors held a key to solving an amazing mystery. 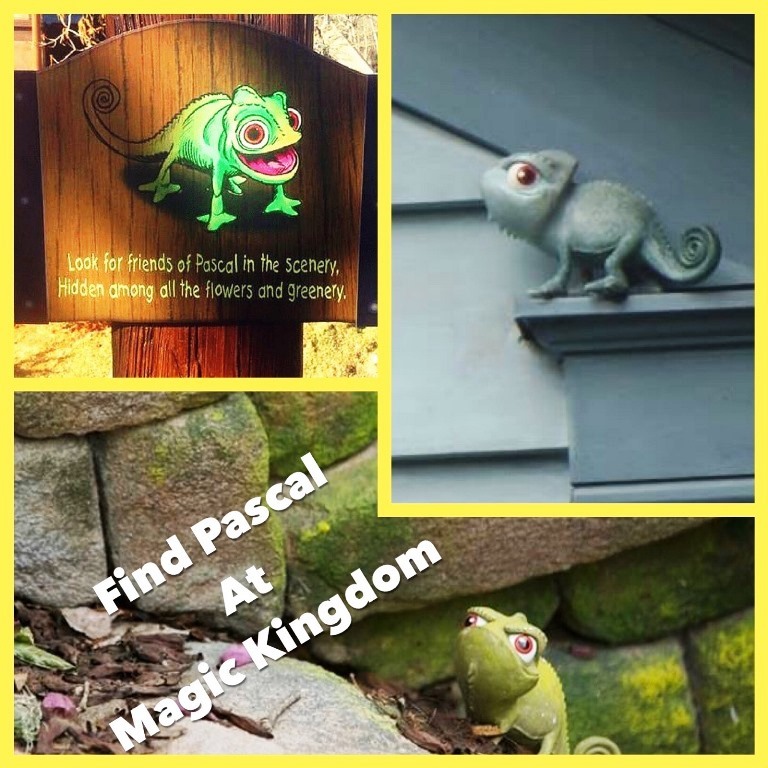 Egg Hunt or Pascal Hunt spoiler alert follows…. Find the “Look for friends of Pascal in the scenery” sign and turn your eyes to the bridge on your left. You’ll see something looking right back at you on the rock! Look in the other side of the water, notice the rock with an indentation…there you’ll discover a set of eyes that blend in perfectly to the moss surroundings. Look at the sign again. Straight across from you, you’ll see a boulder…on the right side is a boulder-colored Pascal hiding from everyone. Find Momento Mori, look carefully and search until you find three flower boxes. Someone’s hiding underneath the second one. Take a look at one of the light posts and you guessed it – Pascal is there. On this Easter weekend, remember that each of us need friends who stick beside us, encourage us, help us, and motivate us to be more. We all need them in our lives and whether you realize it or not, you just might be the very person to make that kind of difference in the lives of others. Sometimes it is subtle, and you can bless and encourage others without being flashy, maybe even blending into the background…but never underestimate the value that you have in the lives of others and take the time to thank those who bless you! About the Author: This article, which first appeared on Facebook, is by author Jeff Dixon. Jeff has written a series of novels set in and around Walt Disney World entitled, The Key to the Kingdom, Unlocking the Kingdom, Storming the Kingdom, and as mentioned and linked above Terror in the Kingdom. He is also the author of The Disney Driven Life, a book that draws life lessons and leadership principles from the history and life of Walt Disney. Some know Jeff as Dixon On Disney – and he resources and comments on Disney history, attractions, and news. He is a researcher that draws heavily on the incredible works of Disney historians and biographers with an attempt to understand and apply the life lessons that are uncovered. He is also a storyteller that transports readers into a world beyond their imagination. Slinky Dog Dash is definitely the most popular attraction in the new Toy Story Land at Disney’s Hollywood Studios park; it is currently seeing mid-day waits of 60-80 minutes, even though crowds are moderate now that the kids are back in school. Here’s the good news: we can probably help you get onto both of the new attractions without long lines but it is going to mean waking up early! You can book FastPass+ reservation up 60-days prior to arrival when you have a reservation at an official Disney World hotel and at select "Good Neighbor" hotels when you have a vacation package that includes tickets or you purchase your tickets prior to your trip and register them on your MyDisneyExperience account. If you’re not staying at a Disney World resort, you can still book your FastPass+ reservations up to 30-days prior to arrival by purchasing your tickets prior to your trip and registering them on your MyDisneyExperience account. You can make up to three (3) FastPass+ reservations prior to arrival but Disney has a tiered system for FastPass selection that only allows you to select one of the new Toy Story Land attractions. If you plan to ride Slinky Dog Dash, you’ll definitely want to make this your FastPass+ choice because it is the more popular ride and gets the longest lines. The challenge here is that there are a limited number of FastPasses available for this attraction and you might not get one. Stand-by lines are much, much shorter for the new Alien Swirling Saucers ride though Toy Story Mania! remains popular with the second longest waits in the area by virtue of it being a fun ride and the only ride in Disney’s Hollywood Studios that does not have a height restriction so that it is my second choice for a Toy Story Land FastPass if Slinky Dog is not available. 8:10AM - We arrived at the park got through security quickly and lined up close fairly the front gates. 8:35AM (25-minutes prior to the posted opening time) – We were allowed through the gates and down Hollywood Boulevard to where it intersects with Sunset Boulevard. If you don’t already have a park map and Times Guide, you can get those on the rack at the Crossroads kiosk that has Mickey Mouse on the top. 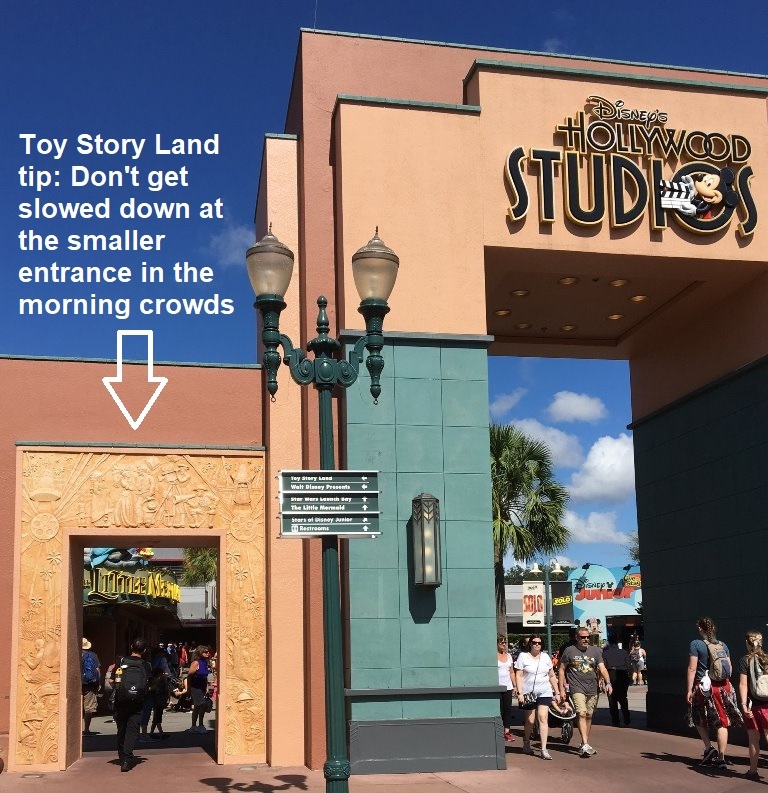 This tip will only work if your group is small and able and willing to move quickly: When you get in line, if all of the gates are not open, try to get in the leftmost line unless there is a compelling reason to avoid it because they may open additional lines as crowds are forming. Watch for that to happen and quickly move over when they do if it gets you closer to the gates. Once they let people in, start moving to the right side of the crowd. Tip: When they let you through, you can usually move farther forward if you are on the edges of the crowd than if you are in the middle of the road. Try to be on the right side of the street, if at all possible but the left side is fine too - just go as far forward as possible. At 8:45AM (15-minutes prior to posted opening time) – They opened the park and began leading guests at a very brisk walk to Toy Story Land. There were also people headed to the registration for Jedi Training Academy and there were others who were headed to Rock ‘n Roller Coaster. Some people headed to Toy Story Mania! which is close to the front of Toy Story Land and doesn’t have a height restriction but most people were lining up for Slinky Dog Dash. Tip: We lost time in the bottleneck of the smaller hole through the arch. It may make sense to aim for the larger entrance unless you’re stuck behind a convoy of strollers and scooters. 9:02AM – We rode Slinky Dog Dash after waiting less than 10-minutes. We weren’t at the very front of the line but we were fairly far forward in the crowd. 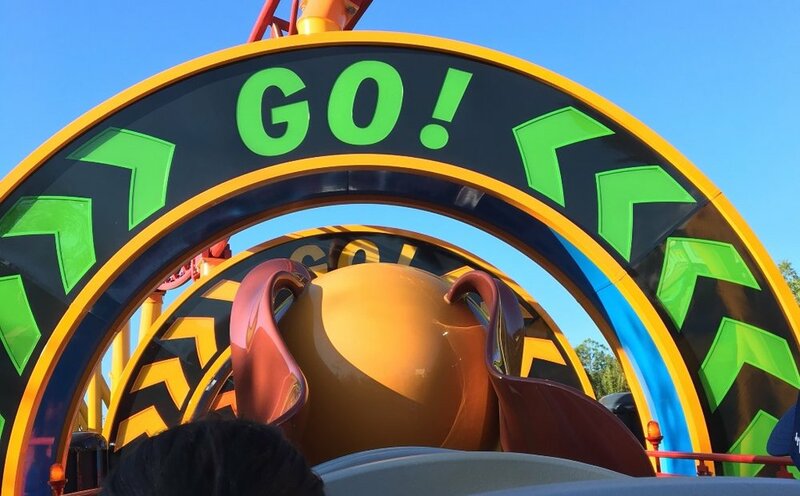 In this 10-minute video, Steve and Brian of TouringPlans.com checked out Slinky Dog Dash at park opening in Disney's Hollywood Studios and came out with a pretty good plan. So you know, this was filmed Saturday, September 15 with a crowd level of 4. The thing about this recommendation is that it only works if you arrive BEFORE the park opens and you are in the first wave of riders. The lines and waits for this ride get long quickly so, if you arrive after the park opens and you don’t get that first wave, early arrival advantage, you’re better off taking advantage of shorter lines at other rides early in the day and riding Slinky Dog Dash later. 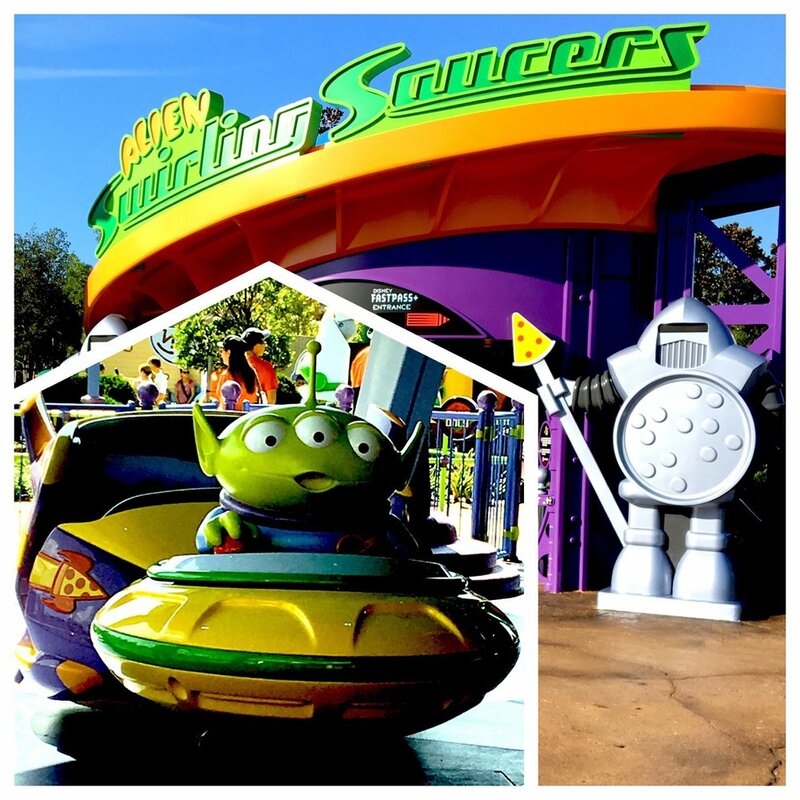 9:10AM – We rode Alien Swirling Saucers with no line. This is the farthest ride back in Toy Story Land so it takes a little longer to get busy. We would’ve ridden Toy Story Mania! next if we didn’t have a FastPass for it because it’s position near the front of Toy Story Land which causes the lines to get longer earlier and then ride Alien Swirling Saucers after that. The lines were posted at over one hour for Slinky Dog Dash by now but we could’ve easily gotten onto Alien Swirling Saucers in a timely fashion for a second ride if we’d gone back into the line. Instead, we decided to get a Raspberry Lunchbox Tart at Woody’s Lunch Box and to visit restrooms before using our 9:45am Toy Story Mania! FastPasses. We also took time to watch the Green Army Men stop and train some young recruits. By 10:00AM, we had seen and done everything Toy Story Land has to offer. The day was getting hot and the people who don’t know to arrive early were coming in droves. 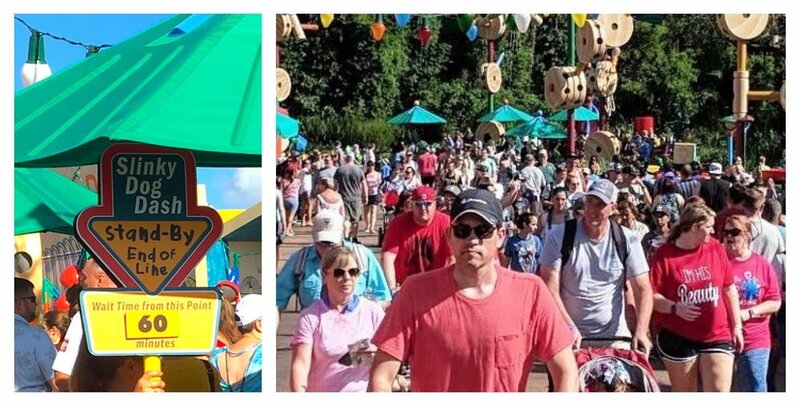 The lines for both Slinky Dog Dash and Alien Swirling Saucers are outside, with only some patio style umbrellas along the route to provide shade so we were happy to be done and to head towards some indoor, air conditioned shows and attractions during the heat of the day. Tips: Watch the weather; Slinky Dog shuts down for lightning - For research purposes, we went back in the afternoon and got into the line which had a 65-minute posted wait. We had gotten far enough forward to be under the covered area close to the ride when a lightning storm and heavy rain caused them to temporarily shut down the ride. Those waiting in the open were told to leave and take shelter and those of us under the covered area were given the option of leaving or staying. With no estimate of when the ride would reopen, some of the people in the covered area opted to leave but most, like us stayed. we ended up waiting 89-minutes to ride. 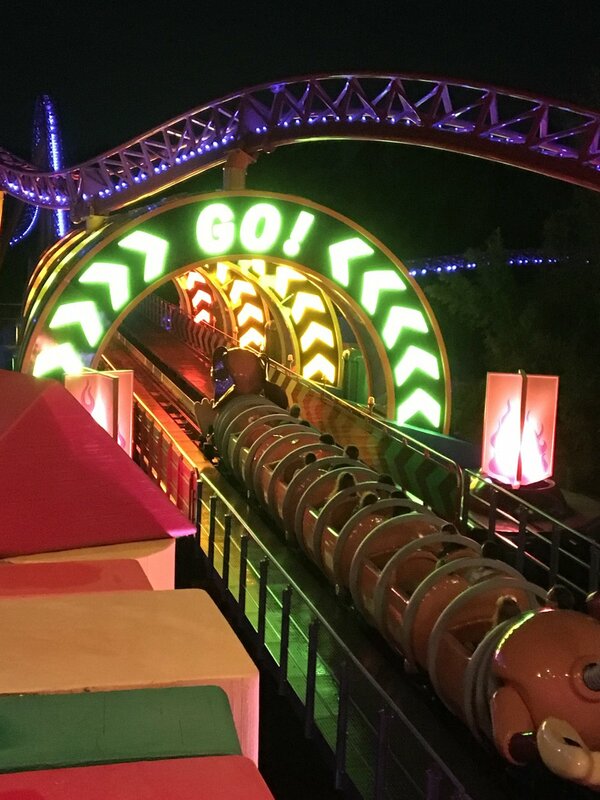 The park was scheduled to close at 8PM so we returned to Toy Story Land at about 7:00PM to see what it was like after dark. It is delightful! We puttered around taking pictures and headed back to Slinky Dog Dash at about 7:40pm to check out the lines at that time. The posted wait was 60-minutes but we got through and rode in about 20-minutes but you should probably keep in mind that the earlier downpour had caused some people to leave early. Slinky Dog Dash usually stays pretty busy all day long. 1. Your travel agent – You have one agent from start-to-finish who knows your name and your priorities and who wants to do everything possible to help you have a wonderful experience. 2. “Best Days” Itinerary – We’ll help you build an itinerary that includes your priorities for fireworks, parades, crowds and shows. Then we help with dining & Fastpass+ reservations. 3. Saving Money – Of course we watch for discounts and promotion and automatically apply the best available offer to your reservation but we also help you avoid up-sells and options you won’t use. 4. We Are Fee-Free - We book directly through Disney and we never charge a service fee so you never pay any extra to use our services when you book your trip through us. You can have all the benefits Disney offers PLUS all the services we offer. You can also purchase planning services through us if you've booked on your own or through another travel agency. Tips for riding Avatar Flight of Passage without waiting hours in line.